Every Melburnian understands the importance of their local pub. In a city known for having a pub on every corner, we are spoilt for choice when it comes to finding a casual venue to kick back with friends for a great meal and a few cheeky wines. With these criteria firmly in mind, we headed to The National Hotel on Victoria Street to try out some of their new menu items. In the middle of Little Vietnam, it seems only appropriate that The National Hotel's menu features its own take on Pan-Asian cuisine – with a little spice perfect for those cold winter nights! We started off the night with a great selection of dumplings, but the real star was shoaxin wine cured salmon with cucumber and kimchi pickle. The salmon was cured perfectly, and who doesn’t love a good pickle? In true Melbourne style, we shared our main courses; with the hoi sin pork ribs and slow braised lamb shoulder a feast for the eyes and the stomach. The surprise dish of the night was the oven baked satay chicken breast, with wok tossed bean shoot salad and Asian salsa verde, so keep an eye out for this dish. Did we mention The National Hotel also does Duck Fat Potatoes? Say no more. We’re pleased to report that the National’s Asian-inspired dishes hit the mark for satisfying (yet fancy!) pub food that's perfect for a great night with friends. Bonus points for a good wine list with something to please everyone - do yourself a favour and grab a bottle of the Yelland & Papps Vermentino. 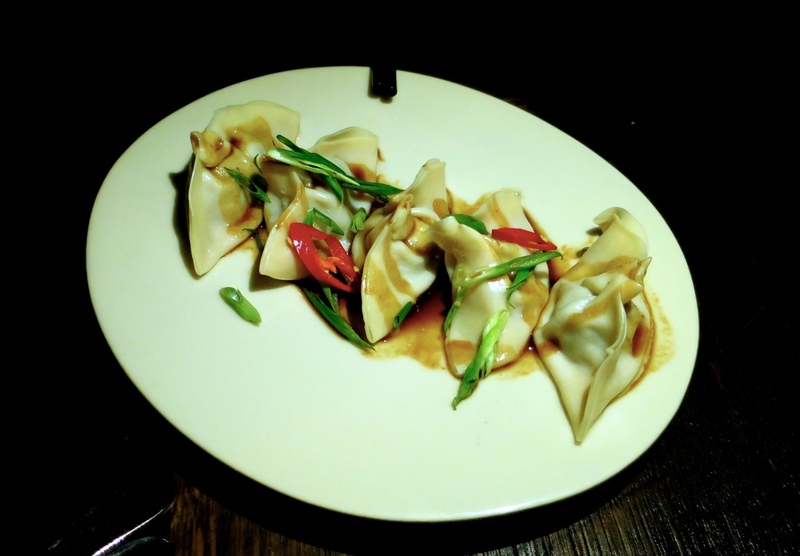 And that’s how you do pub grub with an Asian twist in Melbourne. Massive thanks to The National Hotel for hosting LMM so we could share the good pub grub word with you!